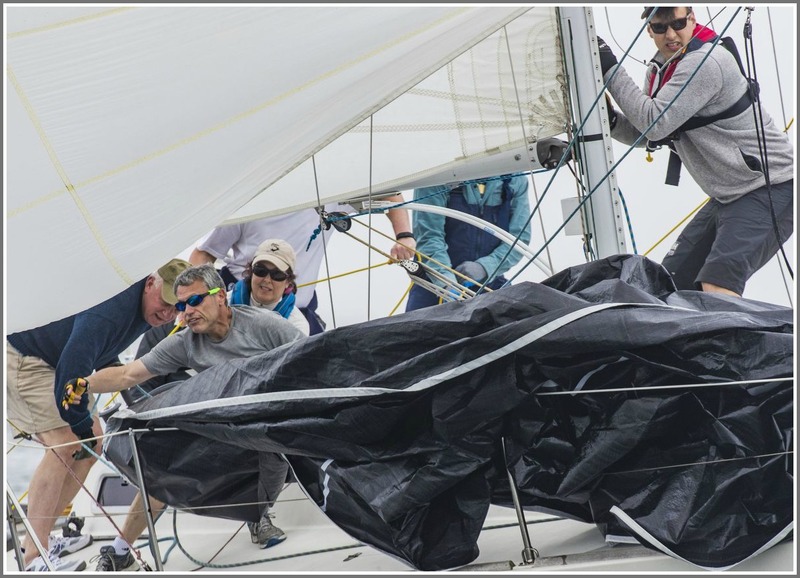 This year’s Cedar Point Yacht Club “One Design” Regatta was the biggest in history. A record 106 boats and 560 sailors participated. One North American and 3 regional championships were contested. Yesterday began with little wind. In the afternoon, thunderstorms sparked things up quite a bit. Did You Miss The Regatta? 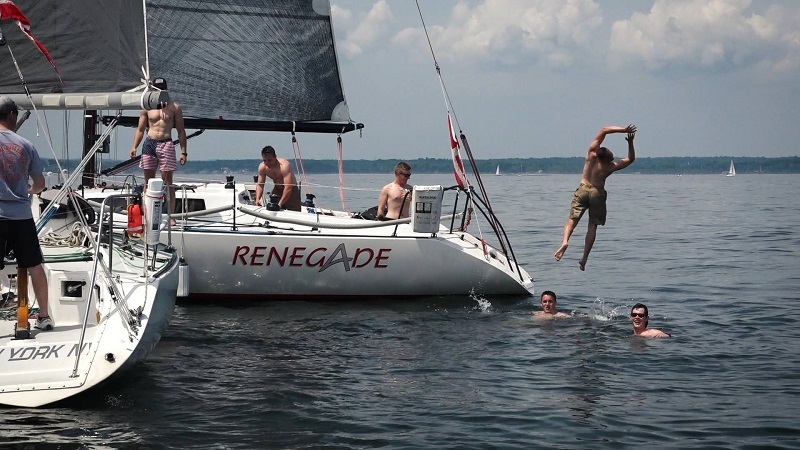 This weekend, Cedar Point Yacht Club hosted a OneDesign Regatta — the largest on Long Island Sound. 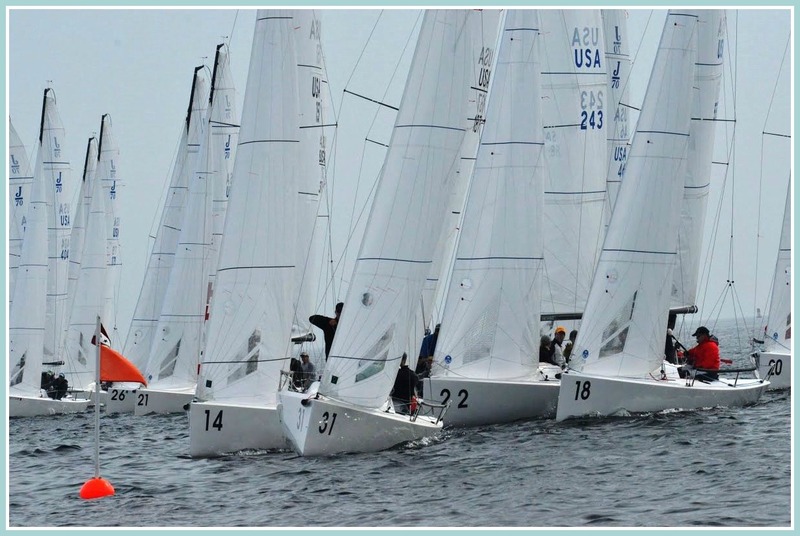 More than 400 sailors on 67 boats competed in 6 classes. A squall blew in Saturday, just to make things even more interesting. Though competitors came from all over the country, several current and former Westporters made their hometown proud. 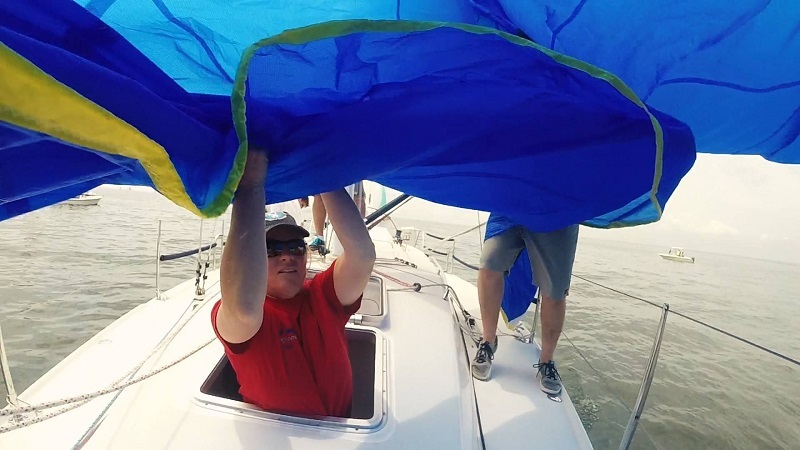 Scott Reichhelm — part of a longtime CPYC family — skippered an Atlantic-class sailboat to win his class. He did it with a Westport crew too: Tim Dexter, Julia Knowlton and Robert Wylie. Ron Marsilio finished 4th in that class. In the 1950s — when Cedar Point was based at Compo Basin — Atlantics were the largest fleet in the club. Jon Friedwald — Staples Class of 2001 — was mainsail trimmer on Whirlwind. It sails out of City Island in the Bronx, and won the 36.7 class. Westproters George and Alex Wilbanks placed 2nd in the J105 class. 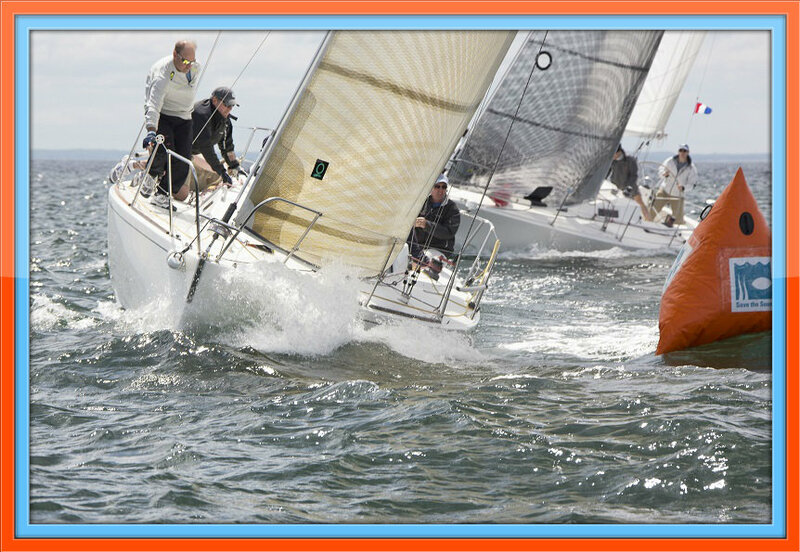 Team Victure of Westport came in 3rd in the J70s, while Josh Goldman took 12th. Staples High School grad and former Westporter Greg Imbruce finished 10th in the J109 class. Cedar Point Regatta: Sounds Like Fun! 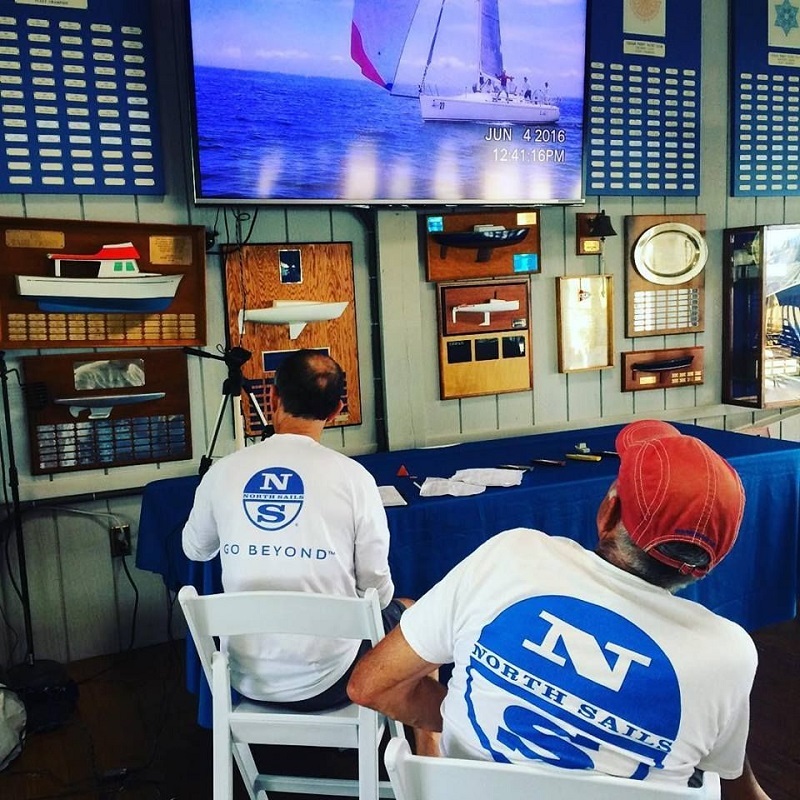 Unless you’re an avid sailor — or you read “06880” closely — you’d never know that this weekend, Cedar Point Yacht Club hosted a national event. 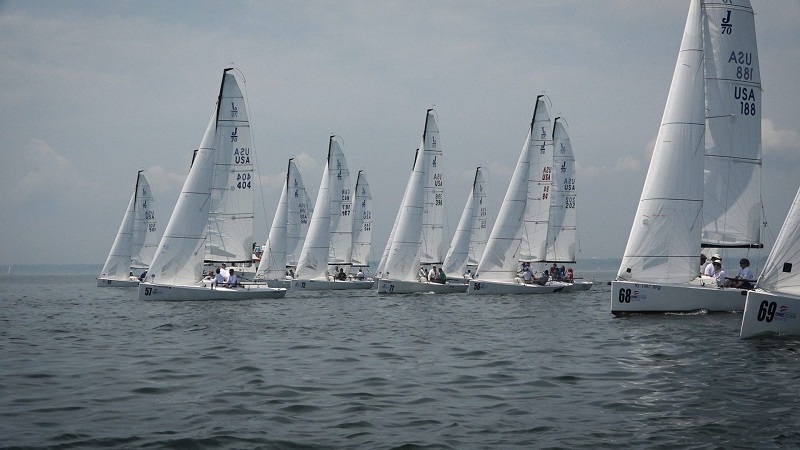 Nearly 500 sailors on 83 boats competed in the OneDesign regatta. 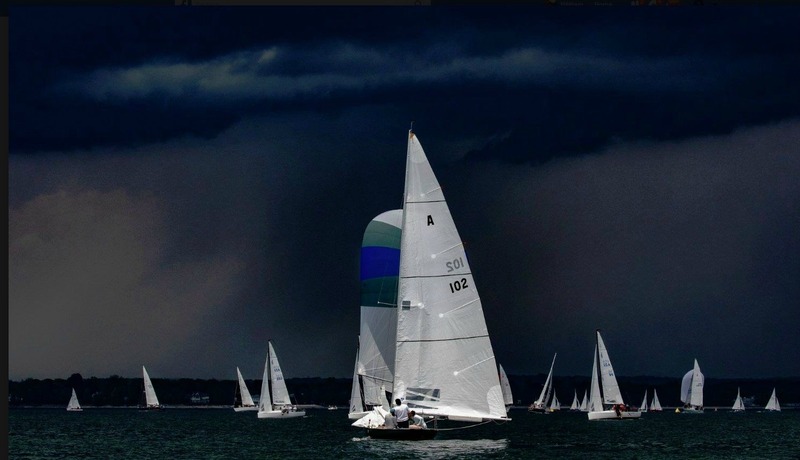 It was the second-largest regatta ever in Westport. The photo above shows some of the action. But unless you’re a sailor, that shot — gorgeous as it is — means little. So, in an effort to go behind the scenes — as “06880” always tries to do — here are a few photos a non-sailor would never see. Yet these scenes too were all part of another wonderful Westport weekend. Race officials monitor the action, away from the sometimes wet weather. Monitoring the wind and the competition, mid-race. This guy enjoys every moment of the weekend. Making sure everything is ship-shape. Sailors don’t have to shower after races. There’s a lot going on here this weekend. Tomorrow (Saturday, June 4) is Sunrise Rotary’s Great Duck Race (1-4 p.m., Parker Harding Plaza). There’s $10,000 in prizes (tickets are $20 each, available at the race). Plus plenty of free fun. Tomorrow is also Shred Day (bring up to 8 paper bags or 3 boxes of bills, tax returns, medical records, etc. to the Westport-Weston Health District, 180 Bayberry Lane, 9 a.m.-noon). On Sunday (June 5, 10 a.m.-4 p.m., Winslow Park), the Westport Weston Chamber of Commerce celebrates our 1st annual Dog Festival ($10 per person, $25 per family; dogs go free!). UPDATE: The Dog Festival has been postponed to next Sunday, June 12. Flying a bit below that radar are 2 very intriguing events. Dragone is sponsoring a spectacular classic automobile auction tomorrow (Saturday, June 4, 6:30 p.m., 176 Post Road West). 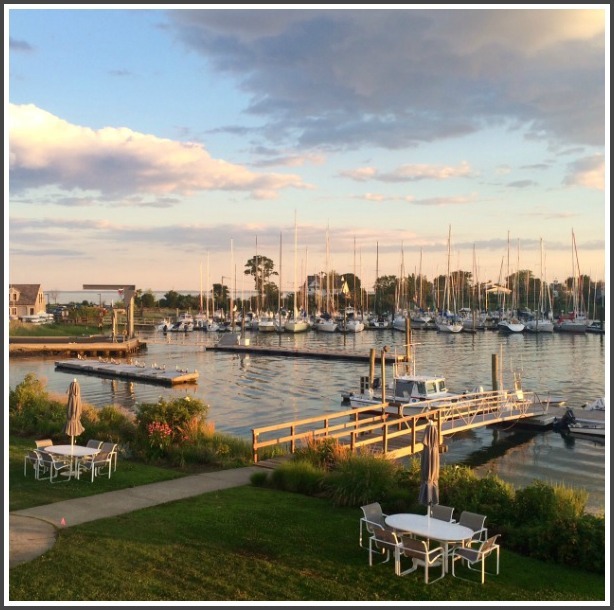 All weekend long, Cedar Point Yacht Club hosts a OneDesign Regatta. Believe it or not, they’re related. 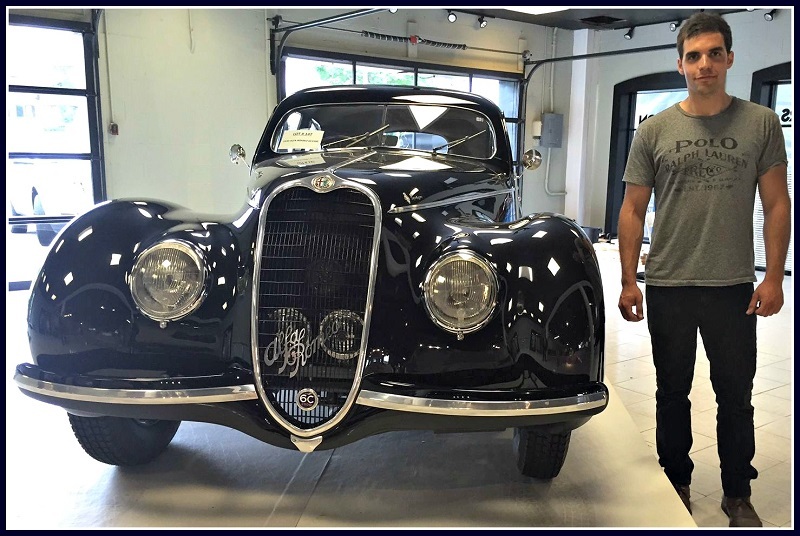 Dragone director of marketing Alex Dragone stands next to a one-of-a-kind 1939 Alfa Romeo — perhaps the most expensive automobile in the auction. Both are driven by young people. The auction’s mastermind is 26-year-old Alex Dragone, the next generation of the famed family. 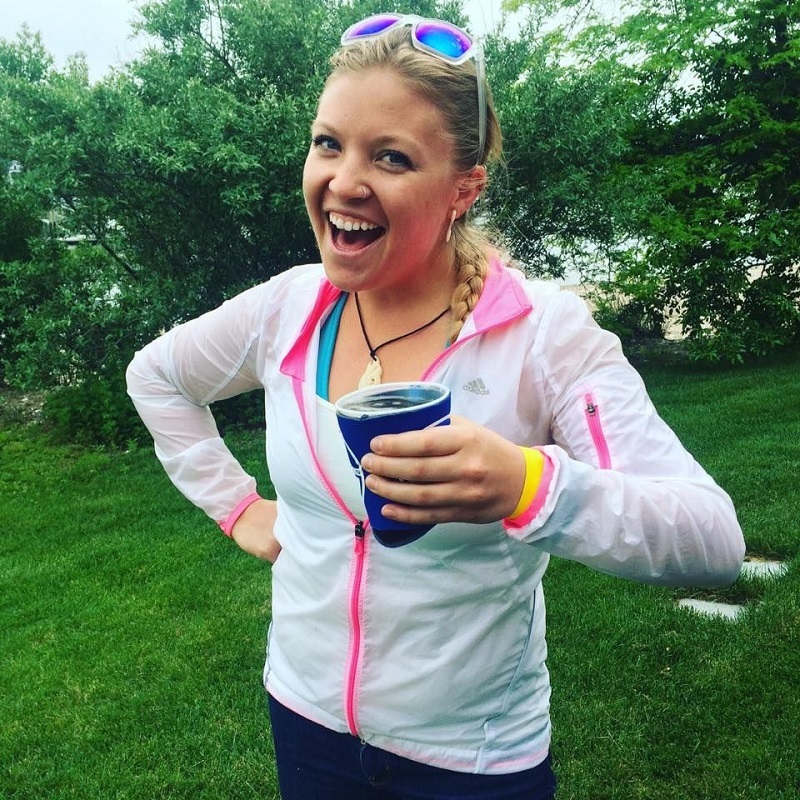 Race director Samantha Parisi doubles as Staples High School’s varsity sailing coach. She brings youth and excitement to those 2 jobs. And both events draw hundreds of people from around the world to Westport. 500 car collectors are expected to bid on 62 cars tomorrow night. Alfa Romeos, Bugattis, Corvettes, Rolls Royces and more — one dating back to 1904 — will attract bids as low as $20,000, and as high as $3 million. Cedar Point, meanwhile, hosts more than 80 boats and 500 sailors. The schedule includes one national championship, and a Long Island Sound championship too. “06880” will provide race photos after the final series. Meanwhile, here are a few shots from today’s sneak preview at Dragone. 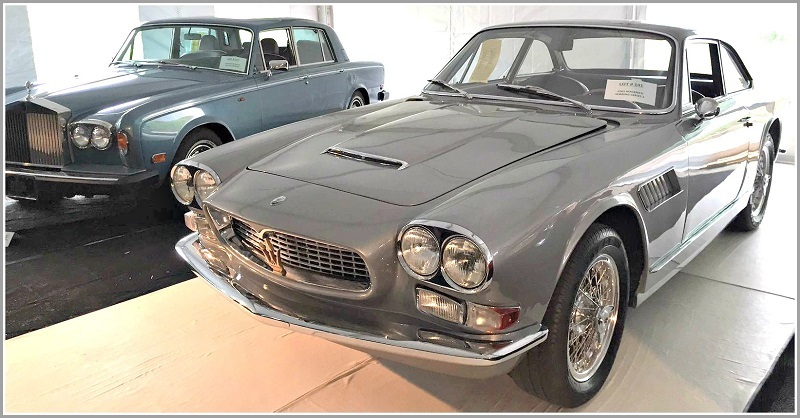 A 1965 Maserati Sebring Series 2. Behind it: a 1979 Rolls Royce Silver Shadow. 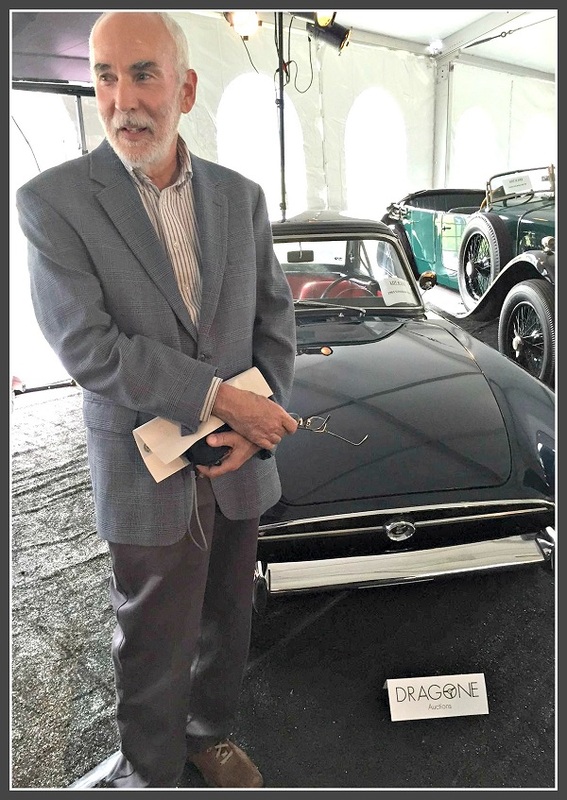 New York Times automobile writer — and 1970 Staples High School graduate — Jim Motavalli, with a 1965 Sunbeam Tiger. 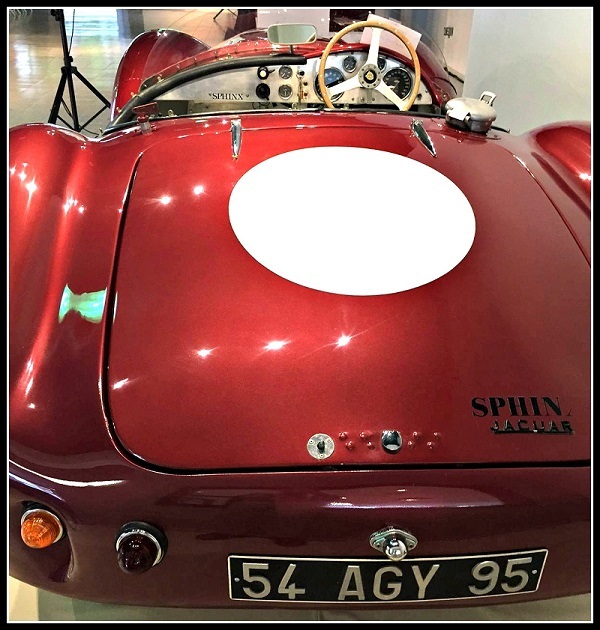 An Allard J2R Sphinx race car. It belonged to the Sopwith family (of Camel fame). The Sopwiths were also yachtsmen. Cedar Point: Come On In, The Water’s Fine! It’s called the Cedar Point Yacht Club. But don’t let the name fool you. For 128 years, Cedar Point has had a low-key presence in Westport. More sailboat racing than “yacht,” with a clubhouse that’s more “house” than “club,” it exists in happy anonymity on Saugatuck Island, at the western edge of town. There are no amenities. No fancy lounge or restaurant. No pool or sauna. No tennis courts. Cedar Point is simply a place where serious sailors of all ages, backgrounds and types gather to sail. 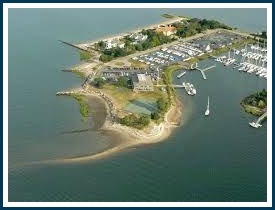 Cedar Point Yacht Club, from the air. 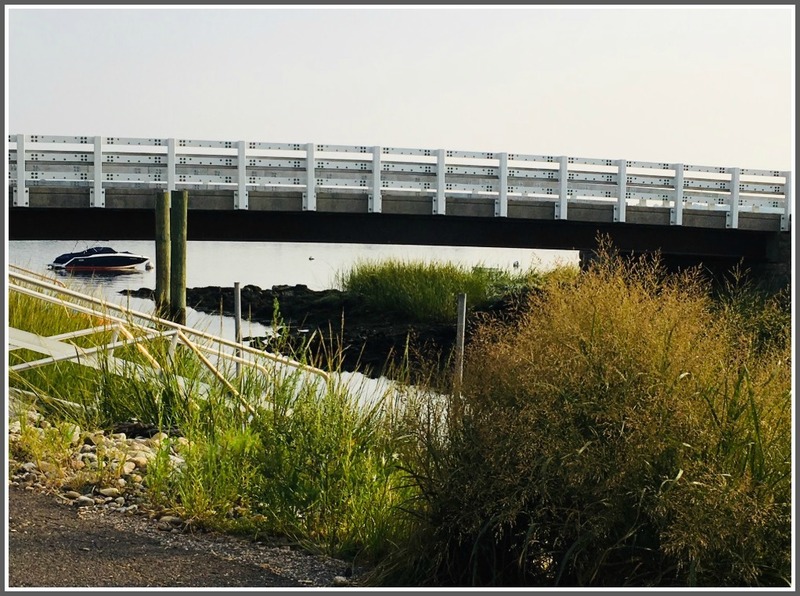 It’s one of Westport’s best-kept secrets. And if you’d like to see what this non-yacht-club yacht club is all about, here’s your chance. This Saturday (July 18, 12-5 p.m.), Cedar Point will treat anyone who shows up as if they’re a member. Watch the fleets go out to race. Enjoy hot dogs and a bouncy house for the kids. Walk the docks. Tour members’ yachts boats. Relax at the private beach. There are also free classroom sailing lessons, and a free on-water sailing lesson (weather permitting). And — keep this quiet — if you mention you’re an “06880” reader, William Adler will arrange for you to go out on a sailboat with a Cedar Point governor. The club is on Saugatuck Island’s Bluff Point Road. 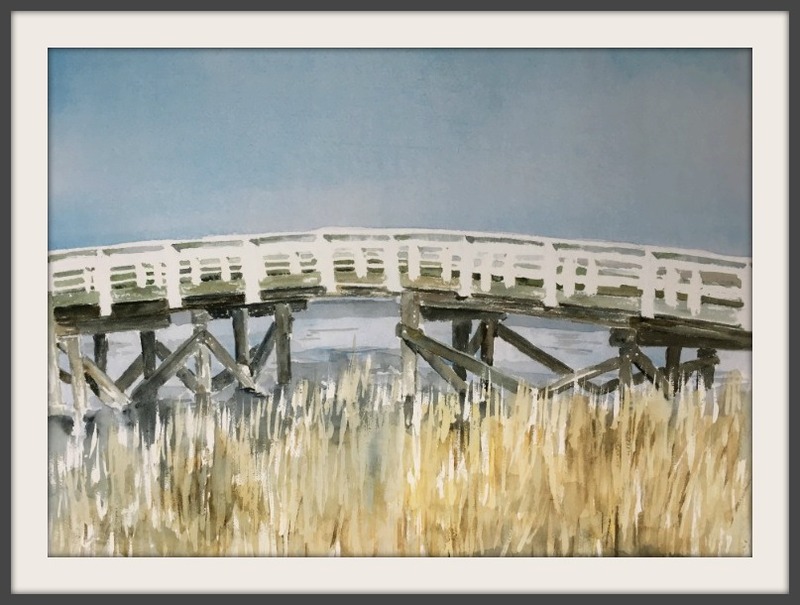 Getting there is half the fun — by car or boat. 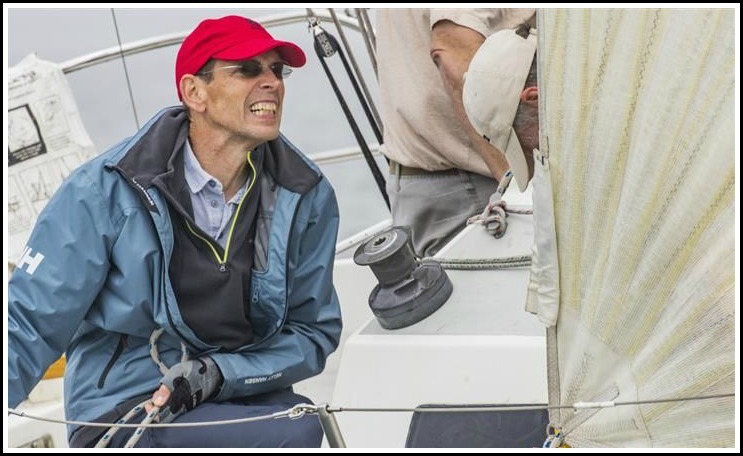 Unless you’re actually out on the Sound, most Westporters’ knowledge of regattas is limited to watching far-off boats, and hearing an occasional horn. So most of us don’t know that Cedar Point Yacht Club is hosting a major race this month. 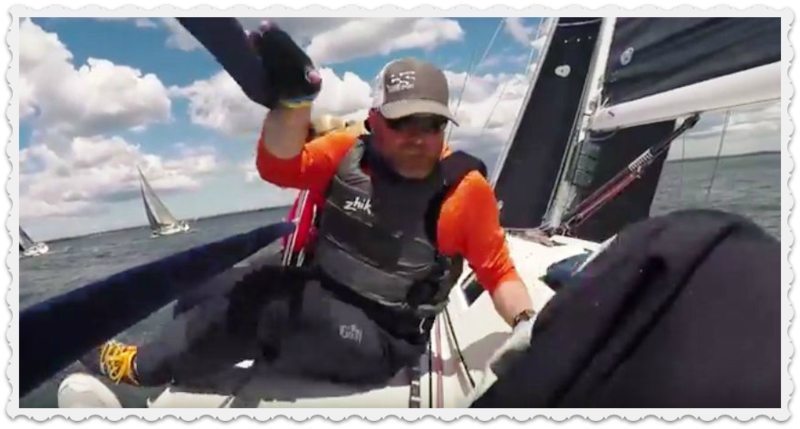 The OneDesign series draws J/70 and Lightning class sailors from Maine to Minnesota, and abroad. It’s gotten so large that this year it’s split into 2 parts. The races for sport boats under 26 feet were held earlier. 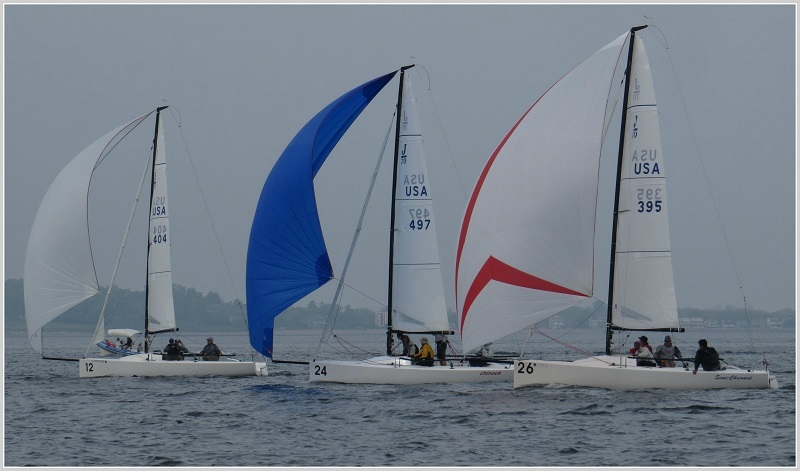 This weekend (May 30-31), the club hosts larger boats. Conditions were challenging in mid-May: a light rain, swirling fog, little breeze. 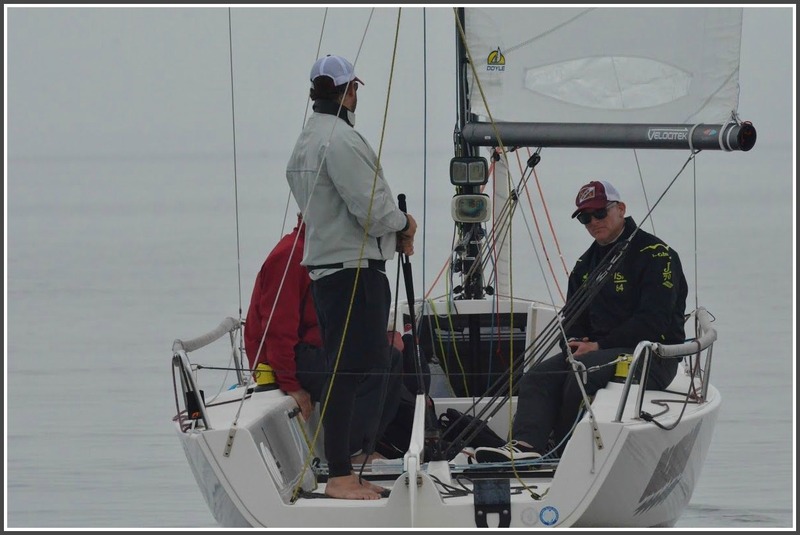 But 170 sailors waited out the rain and fog, finally competing in a national showcase for Westport sailboat racing. 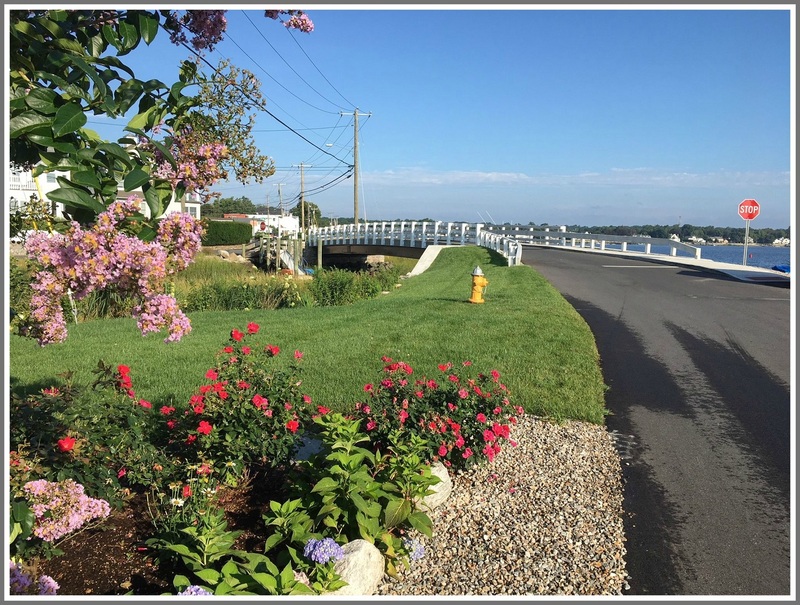 For 127 years, Cedar Point Yacht Club has had a low-key presence in Westport. More sailboat racing than “yacht,” with a clubhouse that’s more “house” than “club,” it exists in happy anonymity on Saugatuck Island, at the western edge of town. But if you were anywhere near Long Island Sound this past weekend, you couldn’t miss it. 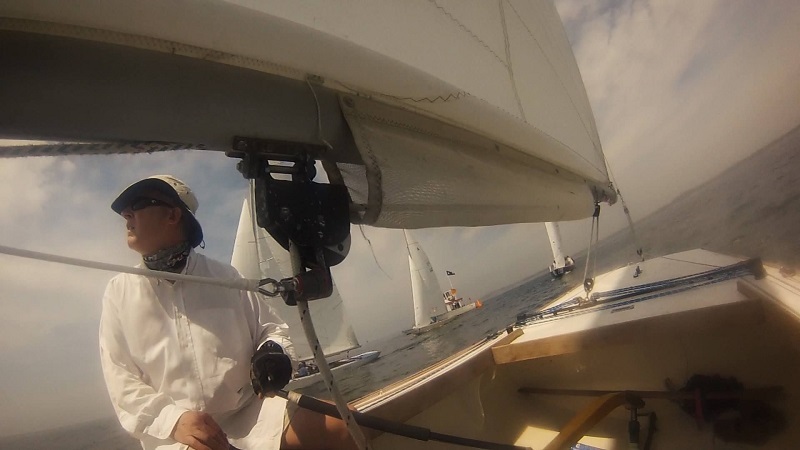 CPYC hosted the largest regatta in their century-and-a-quarter history. 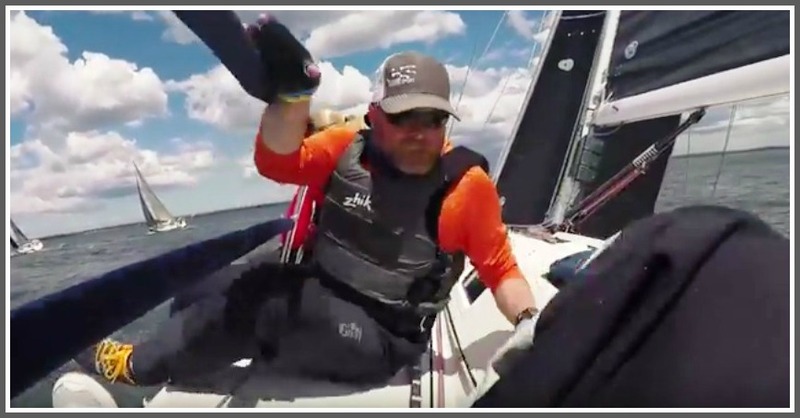 Over 400 sailors, from Texas to Maine, brought 100 boats for the One-Design Regatta. It was 2 days of delightful mayhem, with 7 sets of races, 7 boat classes and 3 championships. Four winners head to Newport for the nationals in September. 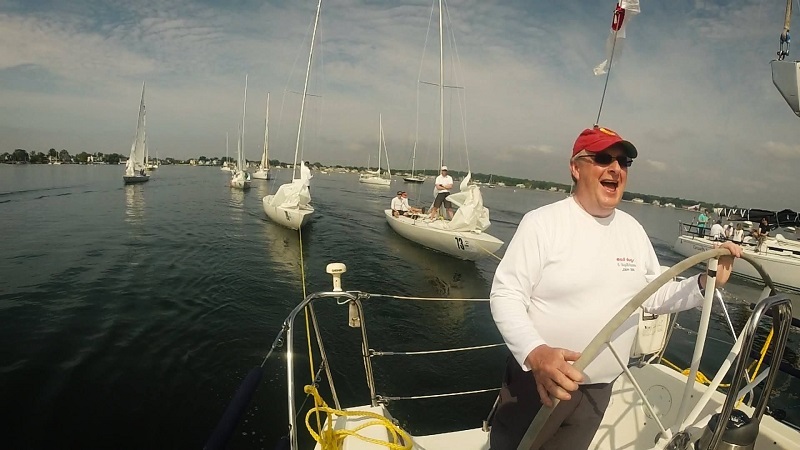 Westporter — and 38-year CPYC member Carl Sherter — won the J30 fleet, by a landslide. 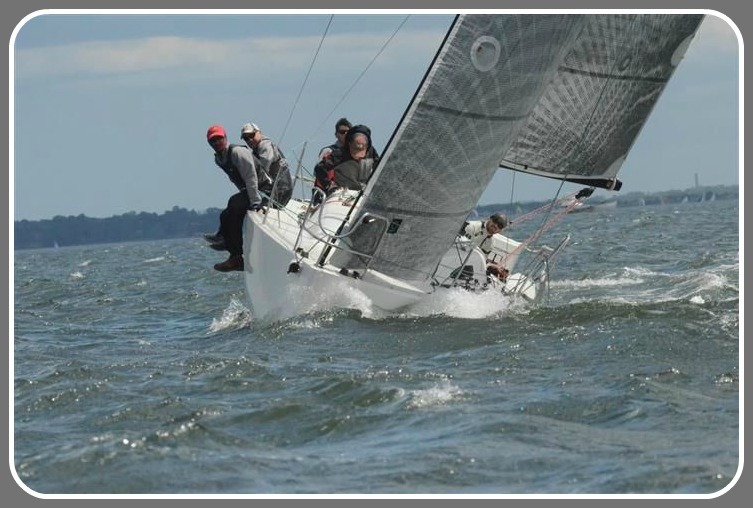 “Revelation” — a sleek 34.5-footer owned by Westporters George, Ann and Alex Wilbanks (with Westport’s Sarah Hamm crewing) — finished 5th in the J015 class. Weston’s Bob Zannetti was 12th. 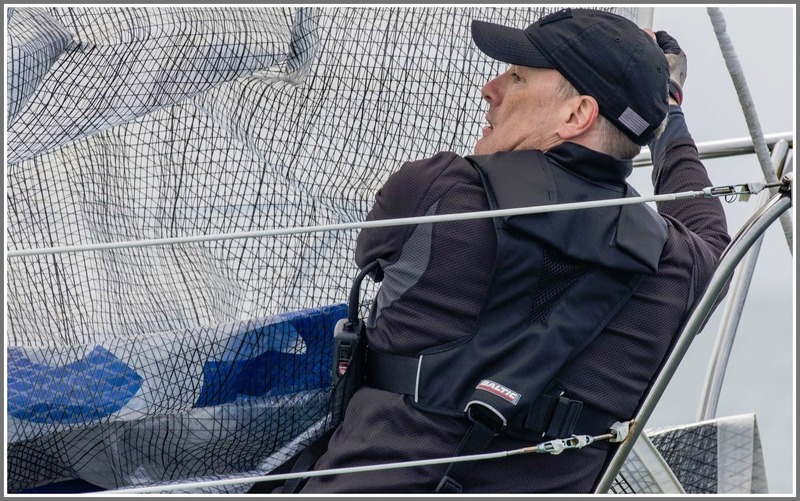 Westport sailors finished well in other classes. 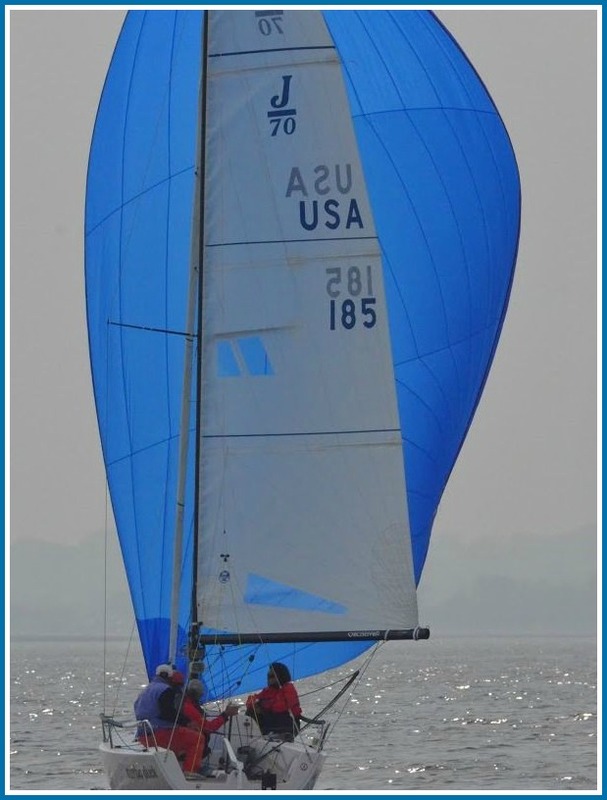 Keing McCarthy was a crew member on the boat that won in the Soverel 33 National Championships. 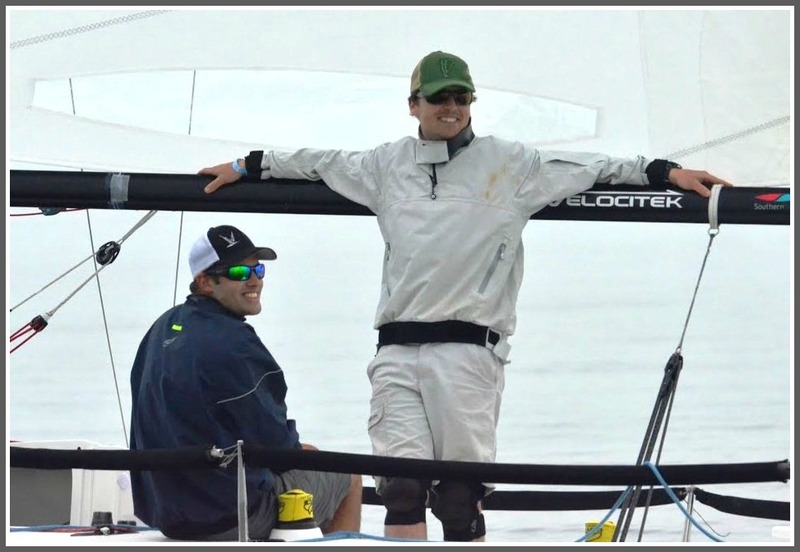 In the Beneteau 36.7 class, 4th and 5th place went to Saugatuck Harbor Yacht Club members Junius Brown and Alistair Duke. 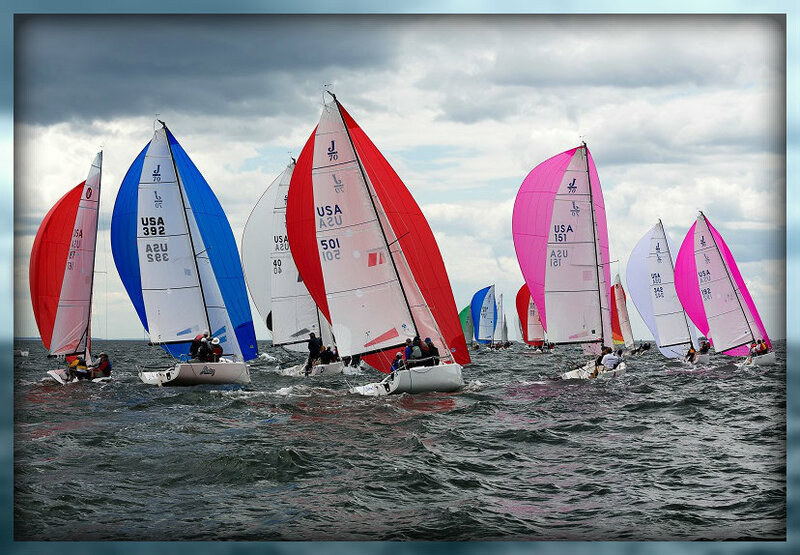 One of the highlights of the weekend was the J70 races. The J70 — a new boat –is light, fast, exciting to handle and less expensive than many others. Younger people have embraced it, helping revitalize the sport. And, just as happily, this coming weekend members will slip back into the low-key, let’s-race-and-have-fun mode that has served them so well, for so long.